In this video we demonstrate how the table works for spinal decompression therapy and take a look at an X-Ray of a candidate who is a good fit for the therapy. 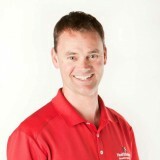 To view Part 1, where we introduced spinal decompression therapy, please click this link. 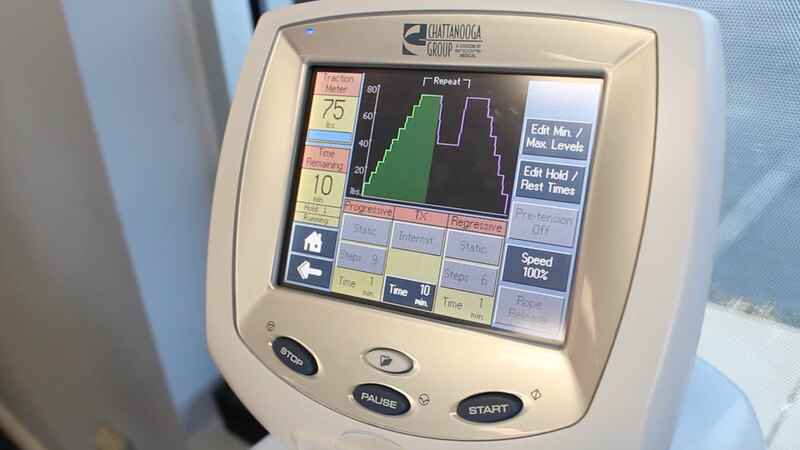 When starting the therapy, we program into the machine the specific information to the patient. This includes the weight, and the pull pattern parameters that we’re going to utilize for the type of decompression we’re going to do for the patient. As the patient is anchored to the table, we anchor the patient’s torso to the top of the table, and then the pelvis or the lower part of the body to the bottom part of the table. The table then glides and separates as the pull is increased. 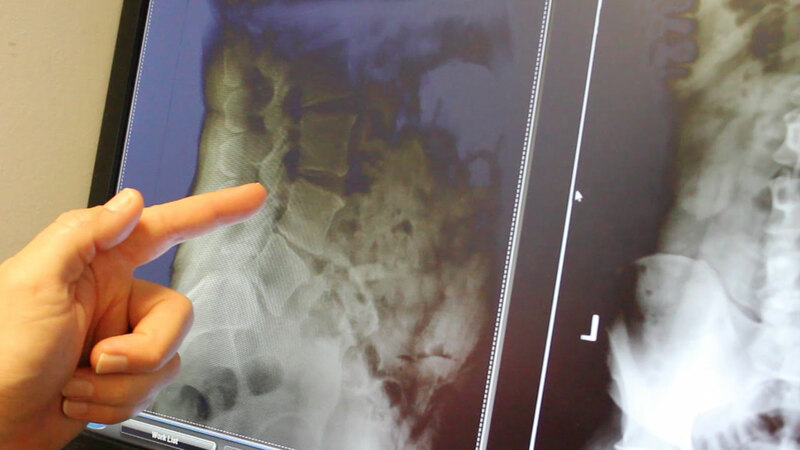 Pictured above is a lumbar spine, or an X-ray of a low back, looking at it from the side. Do you notice these five bones in the spine, L5, L4, L3, L2 and L1.? The space in between L4 and L5 and L5 and S1 is decreased significantly more than the areas above. Additionally, you can see these circles or holes between L4 and L5 and L5 and S1 that are very much pinched off. These are called foramen. In this particular patient the pain is isolated to the lower back right around the belt line. Decompression therapy is a great option for this individual. If you or someone you know is experiencing lower back pain, schedule an evaluation so we can determine whether or not spinal decompression is a viable option for you. Get notified when we release new resources, and also on upcoming deals!